Adventurous lady who loves water and sailing. My dream is to sail the world after retirement. Love the outdoors and everything related. Easy going and good natured personality. A lady who is fairly handy and not afraid to get her hands dirty. A good cook too. Am comfortable from the luxurious to the simple. Been doing some crewing for more experience before I retire. If I’m lucky meet that special someone along the way and sail away together. Been sailing as crew or first mate for five years. 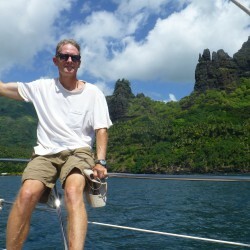 Experience Sailing on lake Winnipeg, Virgin Islands, New Caledonia and Vanuatu. Experience through hands on sailing and reading. Looking for my next crewing experience. 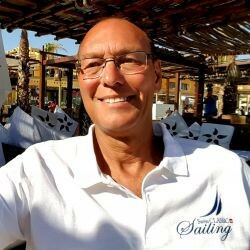 Is great to sail different vessels and lean from all the experienced skippers. greatlatitude and fairwindsandsunshine are now friends. fairwindsandsunshine and intotheblue are now friends.